Watercolour artist Lesley Olver is a professional landscape artist painting scenes of England and Europe. Lesley took up watercolour painting in 1986, shortly after getting married and moving to Maidenhead. Painting had always been a favourite hobby of hers however, and a sketch book always accompanied her on travels to Europe as a student and on holiday. 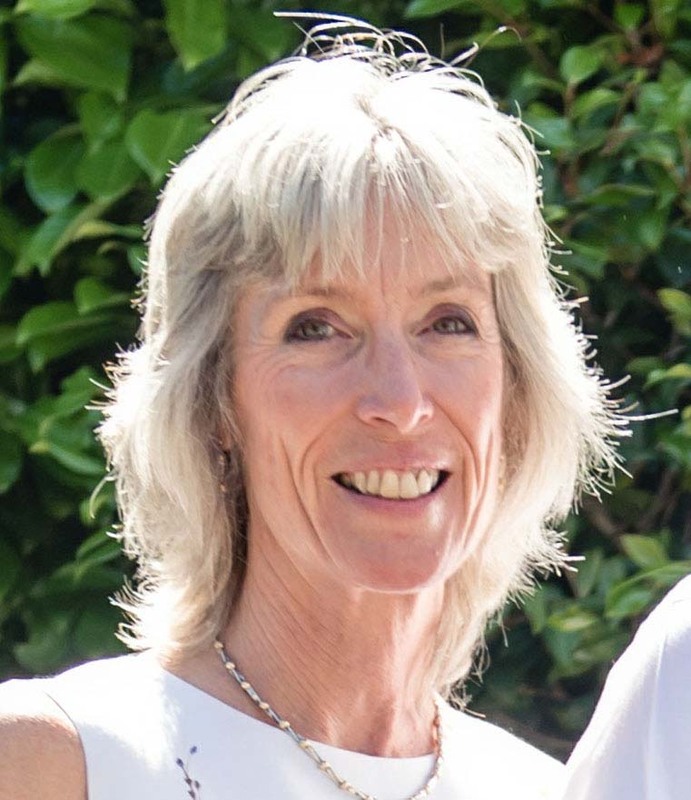 Lesley studied German and French at Exeter University, during which time she lived in Germany for a year. After completing her degree, she trained to become a teacher, and taught Modern Languages for 4 years before leaving full time employment to have children. 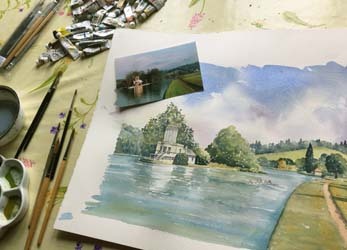 Lesley first exhibited her watercolours at Henley in 1987 has since sold her paintings at galleries, local exhibitions, at craft shows and from home. Lesley’s work depicts primarily English scenes, but she also enjoys painting views of Venice, Italy, France and other places to which she has travelled. Lesley is happy to work on a commission basis and will paint any landscape - houses, churches, gardens, holiday locations etc., usually working from photographs. Please contact her if you would like to discuss any special requirements. 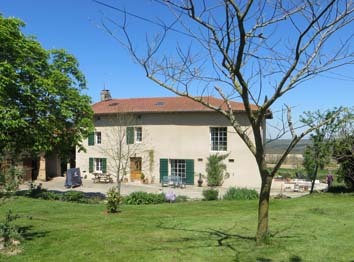 Lesley and her husband Dave now live in France, where they run chambres d'hotes (B&B) from their house in the foothills of the Pyrenees.